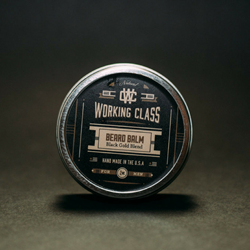 Working Class Black Gold Blend Beard Balm is designed to add an intrigue into your look. 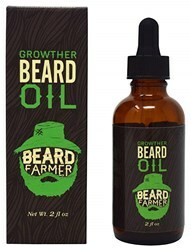 Contains a blend of natural oils, essential oils and beeswax perfect for moisturising your skin and hair. Get rid of the unpleasant itchy feeling caused by harsh chemicals present in some cosmetics with this effective natural essence suitable for daily use. No.1 choice for soft skin and hair. 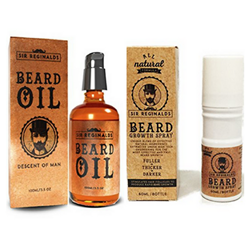 The product contains a rich mixture of essential oils, extracts and organic beeswax. Packed with strong nutritional properties it improves the texture and health of both skin and hair.Also, it offers you a blend of naturally based fragrances: vanilla, tobacco and spiced for a maximum comfort. 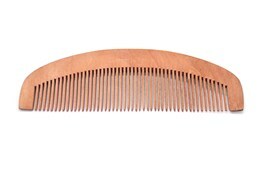 Regular use helps reduce dandruff, itchiness and improve hair growth. Suitable for everyday use. Does not contain parabens, artificials fragrances, colours or conservative substances. Handmade in USA.